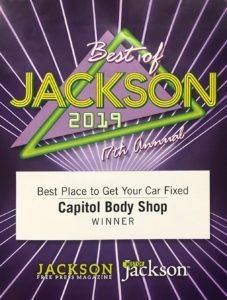 Jackson Free Press and Best of Jackson readers again voted Capitol Body Shop as the best place to go for vehicle repair. 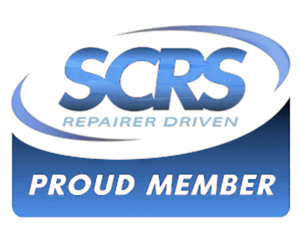 Thanks to all our customers for your business and continued confidence in us. 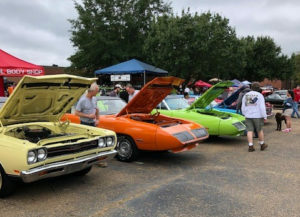 As a proud member of Mississippi Classic Cruisers, Capitol Body Shop serves as a sponsor of the annual Scarecrow Cruise & Car Show in Madison, MS. This year Capitol was represented with 8 entries in various classes and all took home awards. Clarion Ledger readers once again voted Capitol Body Shop “Best Of” for 2017. Thanks to all our customers for your business and your confidence in us. 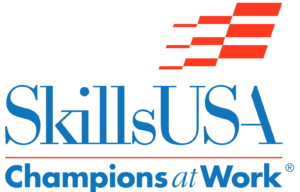 SkillsUSA is a partnership of students, teachers and industry working together to ensure America has a skilled workforce. 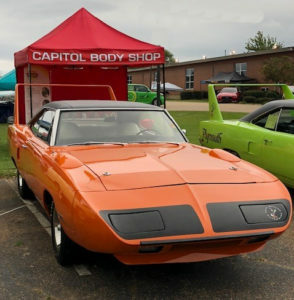 Capitol Body Shop has been a partner with SkillsUSA for over ten years, helping to provide educational programs, events and competitions that support career and technical education (CTE) in the nation’s classrooms. Capitol has hosted the State SkillsUSA Collision Repair Competition at our Lakeland Dr. location in Flowood for the past three years.